Eisai has launched a new online campaign to highlight the cost of obesity to US employers. 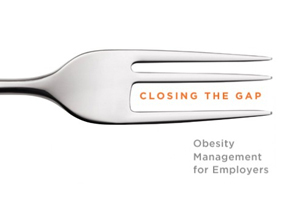 Its Closing the Gap: Obesity Management for Employers site will feature articles, case studies, presentations, and has been designed to complement an existing newsletter. Dave Martin, vice president of managed markets, value and access for Eisai, said: "We know from our research that most employers consider obesity to be a top employee health challenge. While there are some helpful resources available for employers, we also noted significant gaps; therefore, we decided to build this all-inclusive website." The website, sponsored by Eisai and maintained by The Benfield Group, aims to provide employers with a “dedicated source for actionable information on obesity management”. The pharma company's key therapy in the area is Belviq (lorcaserin HCl). The drug is being co-marketed with Arena Pharmaceuticals and in June it became the first new obesity treatment drug to be approved in the US in 15 years. The FDA gave it the green light for use as an add-on to a reduced calorie diet and increased exercise for weight management.